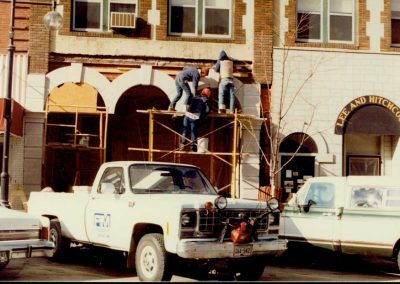 Since its construction in 1868, the Scriver Building on Bridge Square has housed numerous businesses and has attracted countless visitors—including members of a nefarious gang. The two-story limestone structure was built by merchant Hiram Scriver and Dr. E. Lathrop and cost $15,000. Scriver was elected the city’s first mayor in 1875 and served on the first board of trustees for what became Carleton College. 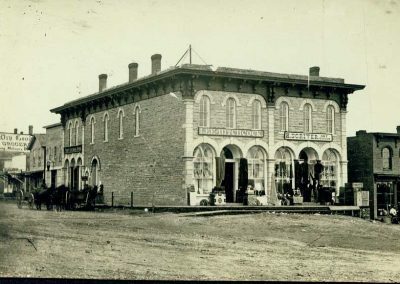 Early occupants of the building included Scriver’s hardware store, the Lee & Hitchcock dry goods store, and the First National Bank of Northfield, founded in 1863. 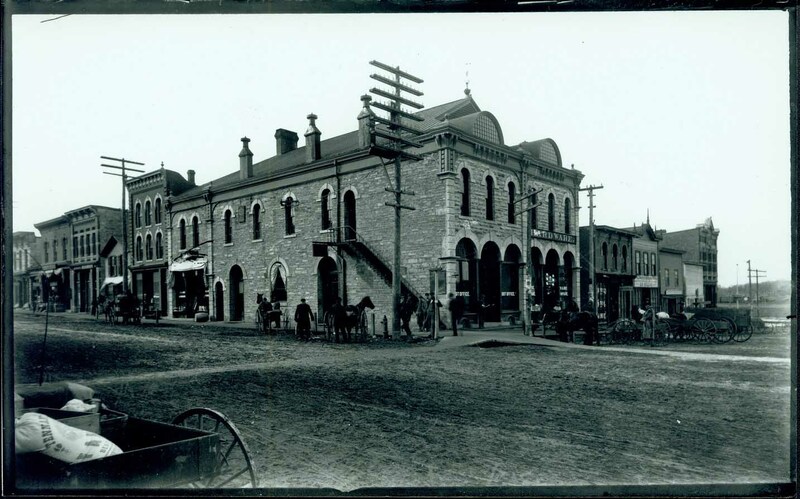 The building was less than ten years old when the James-Younger Gang rode into town and attempted to rob the bank. On the afternoon of September 7, 1876, three of the gang’s eight members entered the bank and ordered the employees to open the safe. Joseph Lee Heywood, the bank’s bookkeeper and town treasurer, told them that the door was locked and couldn’t be opened (although it was actually unlocked at the time), and he was fatally shot. Meanwhile, merchant J.S. Allen discovered the robbery in progress and shouted, “Get your guns, boys—they’re robbing the bank,” and local citizens on the street began to arm themselves. 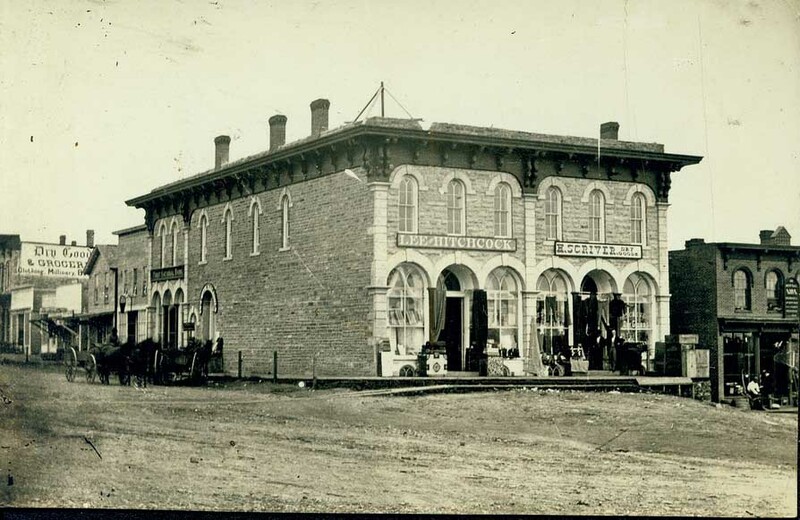 Two years later, the First National Bank moved to the front of the Scriver Building to occupy the space vacated by the dry goods store. 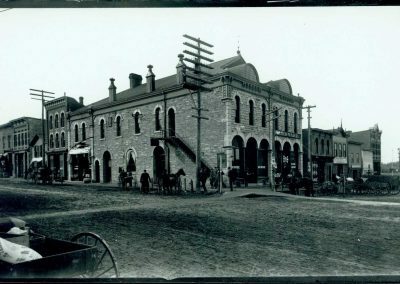 In 1893, the bank moved again to its present location across Bridge Square. The Northfield Post Office took over the bank space in the Scriver Building and remained there for thirty years. 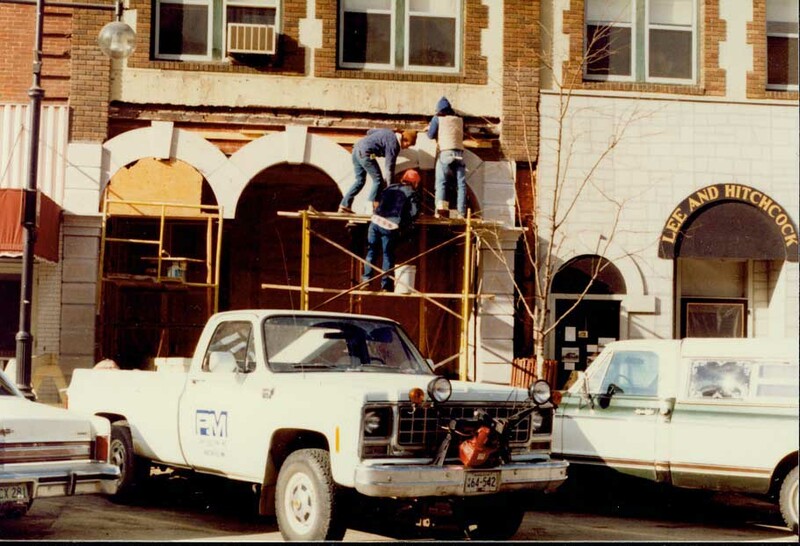 Other businesses that occupied space in the Scriver Building in the decades following the raid include the Jesse James Café, a barbershop, a butcher shop, law offices, an auto parts store, and the Chamber of Commerce. The Northfield Historical Society purchased the building in 1975 for use as a museum. It restored the former bank to its 1876 appearance and has extensively restored the rest of the building over the past four decades. The building is on the National Register of Historic Places.